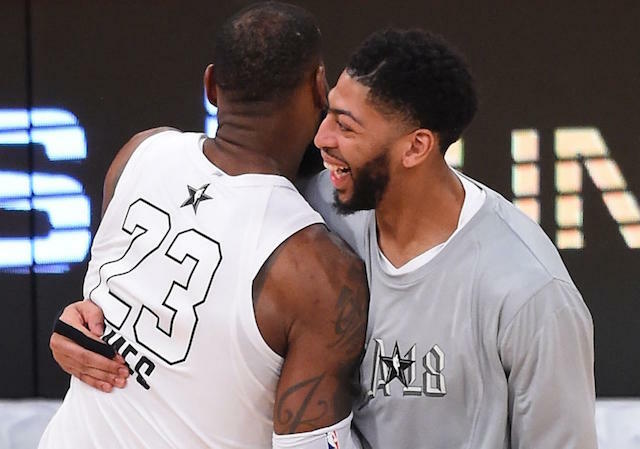 I still don’t believe Anthony Davis will become a Laker. However, the possibility just got slightly more realistic than me dating Jennifer Lopez. Davis demanding a trade is very timely and strategic, because the Lakers can get into the bidding before the Celtics can due to a CBA quirk that doesn’t allow Kyrie Irving and Davis to play on the same team until July 1st. In other words, it’s not an accident the trade demand came before the deadline, and it’s not an accident Lebron and AD share the same agent. Speaking of Lebron, he isn’t back yet, but if he doesn’t show up soon he should start booking his vacation plans during the NBA Playoffs. He should also tell his camp to shut up when it comes to their thoughts on Luke Walton. There is no available coach that could replace Walton that would be an upgrade. Firing Walton would also undermine the work Magic Johnson and Rob Pelinka have done to stabilize the franchise and the culture since Jim Buss and Mitch Kupchak were ousted. Getting input from your star is one thing, but letting him create a circus is another. The Lakers also don’t need to sign Carmelo Anthony so he can drink wine with Lebron after every game. I like ‘Melo as a person, but I’d only be ok with the Lakers signing him if one of their players on a guaranteed contract accidentally died. We’re less than a week away from Super Bowl LIII between the Rams and Patriots. 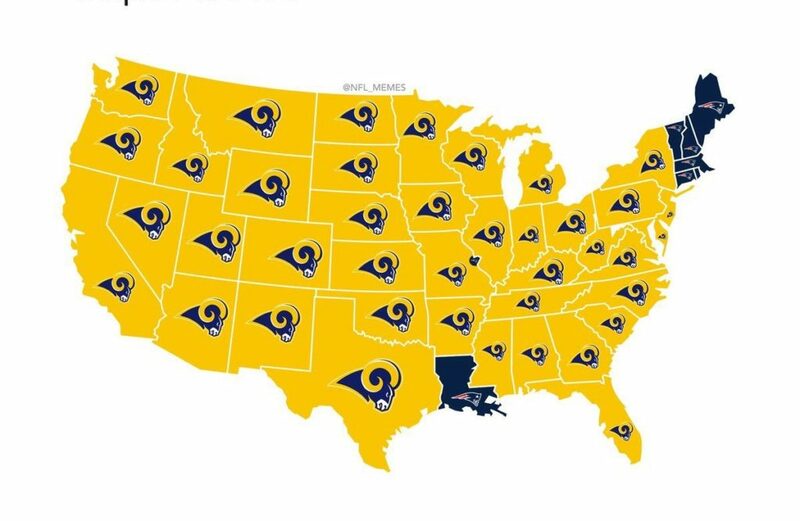 The Rams better be careful though. Bill Belichick has been filming the other teams plays for so long, he started when Sean McVay wasn’t even alive. The Rams received a visit from the Dodgers this week, wishing them luck. They probably also offered advice on how to lose to a team from New England in the post season. Don’t worry though, the Rams will actually have a chance because Andrew Friedman isn’t calling the shots. Nevertheless, the Rams have to go up against arguably the greatest coach and quarterback of all-time. It’s going to be tough to win, but I expect a close one. I think it’s safe to say we know who America is rooting for….. I can’t believe the NFL still plays the Pro Bowl. It’s like the league has decided to troll everyone by giving us this god awful product for one Sunday because they know the rest of their product is the market leader. Even more embarrassing is the fact that anyone would buy a ticket to go to the game. I’d rather watch the two worst teams play for the #1 overall draft pick. I’d also rather gargle with razor blades. On the other hand, the NHL has found a way to make their All-Star game much more entertaining with an exciting 3-on-3 tournament. Saturday night saw the Metro Division winning the tournament and Sidney Crosby coming away with the MVP. The real question though is if you play in the “Metro Division” are you required to shave your legs? It’s no surprise though that the Pacific Division looked like the “Pathetic Division”, getting blown out in their game against the Central. Pathetic definitely applies to the Kings, who are in last place. However, Drew Doughty said he thinks they can still make the playoffs. He said “I know everyone is thinking I’m an idiot right now but that’s the truth.” That’s right Drew. The truth is you’re an idiot. Ugh…on to the Dodgers. Another underwhelming move by Andrew Friedman when he signed AJ Pollock. Makes sense that Friedman would burn $50 million for the next four years on a guy who is always injured. Friedman loves his defense and his power, but not sure how you can provide any of that from the DL. Andrew Friedman’s idea of analytics is to sign injured players. Pollock is this year’s Dodger that is sure to miss time when he tears some elbow ligaments throwing out the trash on his driveway. Of course Stan Kasten defended Friedman and his moves during the Dodger Fan Fest over the weekend. However, Kasten knows all about consistent post season failures from his time with the Braves, so why should we believe this will be any different? Speaking of baseball, Giants 3rd Baseman Evan Longoria posted a rant on Instagram about how baseball players are being “devalued” by analytics, and that the fans shouldn’t care about “value” because it’s not their money. Longoria must have missed out on that economics class at Long Beach State. The one where they teach you about supply and demand. I’m always for people being able to maximize their earnings, especially if they are in the top 1% of your profession like baseball players. However, you can’t expect a guy who hit .240 to get $300 million, or a guy who doesn’t want to hustle. Also, there needs to be some level of self awareness for your audience. The average person would read that post and could only think about how entitled baseball players must feel, since they make more in a year than most make in a life time. UCLA Basketball is amazing. I’ve never seen a team look so unimpressive in a 20-point victory over Arizona. It almost looked like Arizona wasn’t cheating anymore. Then again, I’ve never seen the PAC-12 look so unimpressive as a whole. You have no idea what team you’re going to see every time they take the floor. The team that played Arizona State two nights earlier is one where you would always bet the house that they are going to blow a lead. UCLA has talent and size, but it feels like they are frequently outmuscled. There is a new weight room in the Wooden Center, but apparently nobody knows where it is. This program can’t be overhauled soon enough. Finally, episode 4 of The Bachelor went down last week on ABC, and it’s back tonight as well. Caitlin looks like Caelynn and Hannah combined. Colton wanted to get to know her and she told him nothing. I love how her true aspirations in life were to have him go out with her friends and have a good time. That’s setting the bar high! She blew it so badly that he needed to send her home. “Never been kissed” is a snake. I see you. She’s probably never kissed anybody because it would cut into her pot stirring time. I watched the whole episode and I can’t believe Colton didn’t even jump the fence yet. We all thought Catherine was going to be the villain all this time! So much for that. Gotta love how the dates consisted of baby sitting and working out. This shows budget is in worse shape than the U.S. government. What’s next pulling weeds and doing taxes? 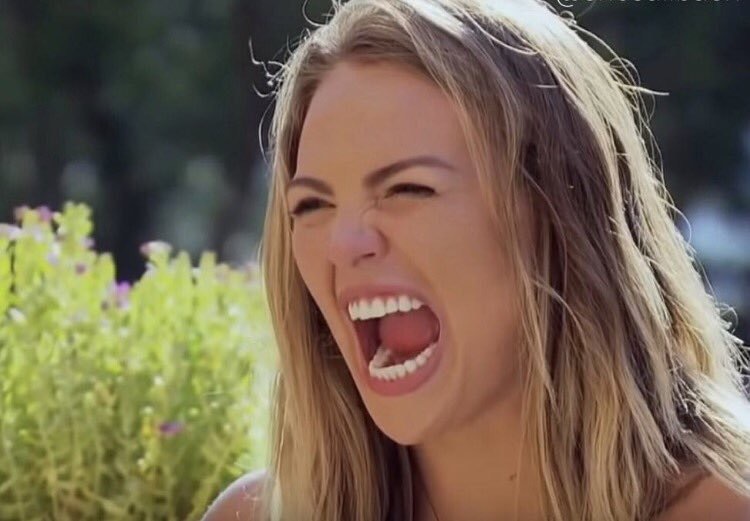 Hannah B’s growl is making a great internet meme. You really thought she was going home? This show is getting more predictable than Tom Brady in the Super Bowl every year. Kirpa had the lowest screen time of anybody to get to Episode 4. It was nice to see an entire episode without a mention of virginity. Bet that won’t last long though. This entry was posted in Morning Coffee on January 28, 2019 by omzzzzz.